Find Indian Land, SC Condos for sale. View Photos, Maps and MLS Data Now! Hanover - Garage, covered front porch, a private rear deck checks all the boxes! MLS#3490164. Wilkinson ERA Real Estate. Sun City Carolina Lakes - Don't miss this Villa-it won't last long! Age 55+ Sun City MLS#3495363. RE/MAX Executive. Almond Glen - Enjoy the convenience of NC with Low SC taxes! ! MLS#3496362. America's Real Estate Group Inc. The Grove is next door to tons of shopping & dining options & a short drive to Ballantyne! MLS#3495030. Keller Williams Ballantyne Area. Hanover - MLS#3495538. RE/MAX Metro Realty. Bridgemill - TOA dues include building landscaping, maintenance, water, waste services and a few other items. MLS#3473699. Homes and More Real Estate Services. Enjoy evenings sitting outside on your private patio or head over to the community pool. MLS#3487569. Coldwell Banker Residential Brokerage. 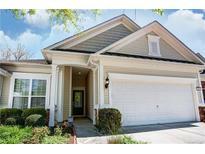 Sun City Carolina Lakes - Come make this your home today! MLS#3492092. Allen Tate Ballantyne. Enjoy the back patio overlooking wooded natural area. 1 Year Home Warranty. MLS#3483744. Allen Tate Indian Land. Sun City Carolina Lakes - Sun City is resort style living & the premier destination for active adults seeking fun and breezy living with low maintenance. MLS#3470973. Bliss Real Estate LLC. Outside Patio w/ Private sitting Area w/ Pergola. MLS#3489476. Keller Williams Ballantyne Area. Arlington - This one won't last long! MLS#3484726. Better Homes and Gardens Real Estate Paracle. Arlington - Will not stay TVs in each room and washer dryer and Refrigerator. MLS#3487258. Queen City Homes, Inc.
AND a Drive thru Starbucks! Don't miss this one! MLS#3485237. Savvy + Co Real Estate. Welcome to easy living in The Grove! MLS#3486277. RE/MAX Executive. Sun City Carolina Lakes - This home won't last long MLS#3483549. RE/MAX Executive. Arlington - Open Houses scheduled: March 16th 12pm-3pm March 17th 2pm-4pm View 3D tour here: https://www.zillow.com/view-3d-home/c7a3df76-a584-4fbe-bfc2-1ed4a8583630 MLS#3483863. Giving Tree Realty. This home is move-in ready and convenient to everything Indian Land has to offer as well as being accessible to Charlotte and beyond. MLS#3483268. Home-Land Realty, Inc..
Windsor Trace - This cosy townhouse with freshly updated paint and new light fixtures is located 5 minutes away from new Redstone plaza, a short drive from Ballantyne and tons of entertainment and shopping options in a booming Indian Land area. MLS#3482737. Inter Sales LLC.